Patent demands are taking a big toll on technology companies, with results that range from forcing companies to tweak their products to exiting their business altogether, according to a study from the Santa Clara University School of Law. The study underscores the increasing difficulty of dealing with patent claims. Patents have become a major part of business strategy, with companies like Apple and Samsung battling each other in courts around the world in cases that could result in hundreds of millions of dollars in damages. While PAEs have a bad reputation among technology firms, many patent litigants who do not make products or develop technology think of themselves in a better light. Many of them represent inventors, sometimes university researchers, who cannot afford to defend patents on their own. Colleen Chien, an assistant professor of law at SCU, surveyed 116 in-house counsels, largely representing technology companies with more than $100 million in annual revenue. More than 90 percent reported that patent claims from PAEs had affected them financially or distracted from their core businesses. More than 80 percent said their customers had received PAE demands because the customers used or implemented products that were accused of violating a patent, and almost 40 percent said the claim had resulted in a change to the product. About one-quarter of the companies surveyed said claims from PAEs lost them revenue or customers, or caused a delay reaching an operational milestone. About 12 percent said they had to tweak their business strategy as a result of a claim. Around 8 percent said claims had caused them to delay hiring, or to exit a business line or business altogether. 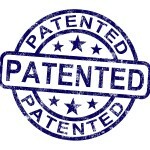 Next post: Does Innovation Require the Patent Office?